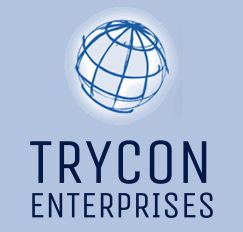 1994, Trycon Enterprises LLC was founded in New Jersey, USA with the purpose of providing quality services and products to its customers worldwide. After a demanding and productive period of 9 years, Trycon successfully fulfilled its endeavors and completed a considerable number of trading business for various industries. During the period, Trycon built a solid background in international trading and all related issues pertaining to imports, exports, logistics, clearing, banking, etc. 2003, Trycon focused its global trading expertise in the maritime industry with the purpose of specializing in the technical aspects of seagoing vessels and more specifically in the technical supply chain and support of marine engines, spares, machinery and equipment. 2015, Trycon expanded its maritime services for customer vessels by establishing a branch office in Greece, Europe for covering all time zones and geographical areas. Today, Trycon is rated to be one amongst the top most versatile and pioneer companies of its kind in the supply of marine spare parts, machinery and equipment in the industry. To identify the correct products. To investigate our best source for acquiring. To respond in a timely manner. To supply at best prices. To ensure proper, on time delivery. To assist with technical issues. To provide after sales service. To improve our quality/pricing ratio. To expand our line of products and geographical coverage. To increase our operations capabilities. To maximize rate of satisfied customers returned. To be consistent with IMO regulations for material handling. To introduce new spare parts managing technologies. To develop environmentally friendly procedures. We are Trying Continuously to be the Best!! !